Yes, it is possible to visit japan on a budget. Japan is wrongfully known for being an expensive vacation destination. 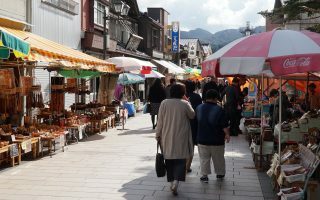 In this post I will try to make a sample budget for a vacation in Japan. The numbers are roughly based on my own experience and the expenses I’ve had in connection with my own trips to Japan. While Japan will never be as cheap as Vietnam, Thailand and the likes, it is still possible visit on a budget. We all have different priorities and preferences when it comes to vacation and traveling. Some like to travel in luxury and get the most out of every experience. Others like to travel on a low budget and mingle with the locals. Most people probably find themselves somewhere in the middle. 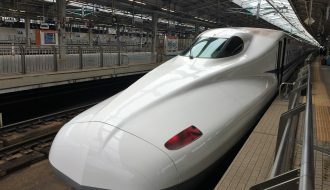 This post will focus on traveling in japan on a budget. With this as a base example you can always scale up on the things where you want a little more luxury, freedom or different experiences. 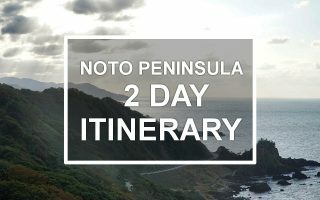 Flights excluded, you can actually make a great little round trip in Japan for roughly €60/day. Don’t believe me? Then continue reading. In this example which is based on real prices (2018), we budget a 12 day tour (11 nights). 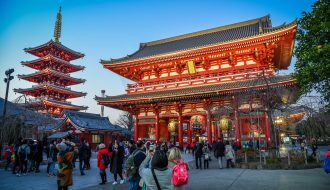 You will be visiting 3 popular destinations in Japan (Tokyo, Kyoto, Hiroshima). This is a typical short-to-medium length vacation itinerary for Japan. Rooms are typically dorm room accommodation. You can find private rooms or apartments for as little as $45/night (suitable for 2 persons). Flight €560 $600 Euro price based on LON<>NRT with Air China. USD price is based on LAX<>NRT with Singapore Airlines. Airport transfer ¥2,200 €17 $21 Airport transfer with Keisei Skyliner is only needed one way. The JR pass will cover the other way (with Nartia Exress) if activated on the right day. Hostel ¥20,989 €161 $198 11 nights. Example based on Tokyo: JGH Tokyo Hostel @ €13/night, Kyoto: Hostel Wasabi @ €13/night, Hiroshima: Santiago Guesthouse @ €19/night. Flights excluded, you can actually visit Tokyo for roughly €45/day or less. In this example which is based on real prices (2018), we budget an 8 day trip (7 nights) to Tokyo. You will stay in Tokyo and focus on the many areas, cultures and history which can be found here. This is a typical short length vacation itinerary for Tokyo. Rooms are typically dorm room accommodation. You can find private rooms or apartments for as little as $45/night (suitable for 2 persons). Airport transfer ¥4,300 €33 $41 Airport transfer with Keisei Skyliner discount return ticket. 2 x 3 day subway pass ¥3,000 €23 $28 Only available to foreigners. Hostel ¥11,900 €91 $112 JGH Tokyo Hostel @ €13/night. (7 nights). Flights with 1 or 2 connections are usually cheaper than a direct flight. It will take some extra time, but can save you $200-400 compared to a direct flight. I use momondo.com so search for cheap flights. Travel on weekdays. Tuesday and Thursday are often much cheaper than other days. Look into buying separate tickets. I do not recommend this unless you are are experienced in air travel, and comfortable with the risk. For instance, it might be cheaper in some cases to buy a return ticket from London to Bangkok and then another ticket from Bangkok to Tokyo. It is risky however, because the your journey consists of two separate bookings, so the airline flying you from London to Bangkok will not have any responsibility towards you if they are delayed and you miss your next flight. You can make great savings if you choose to stay in dorm rooms, capsule hotels, love hotels or rent an airbnb apartment. For instance, in the sample budget above we planned to stay in a dorm room for just $13/night. A cheap 3* single room or an airbnb apartment will cost you around $50/night in Tokyo, so for a 7 night stay that saves you $259. If you do prefer a private room, then check out the hostels too – many of them also have private rooms at reasonable prices. Hostels in Japan are generally very clean, and the rooms can be almost like a regular hotel room. 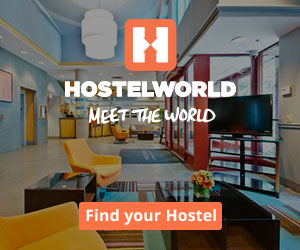 Bonus tip for hostels: some of the hostels you can book cheaper through their own websites than you can through search engines. Most larger cities in Japan offer some sort of day pass or multiday pass for their local transportation system. However, be aware that not all of them are a bargain. You should always evaluate how much you expect to travel around by bus and train. Does it make sense for your itinerary? It’s also worth noting that if you have a Japan rail pass you can also use it for the local JR trains inside Tokyo. The Yamanote line is covered by the Japan Rail Pass and will take you around the city on a circle line. The Yamanote line covers many of the interesting areas. This is a train pass available only to foreigners not residing in Japan. 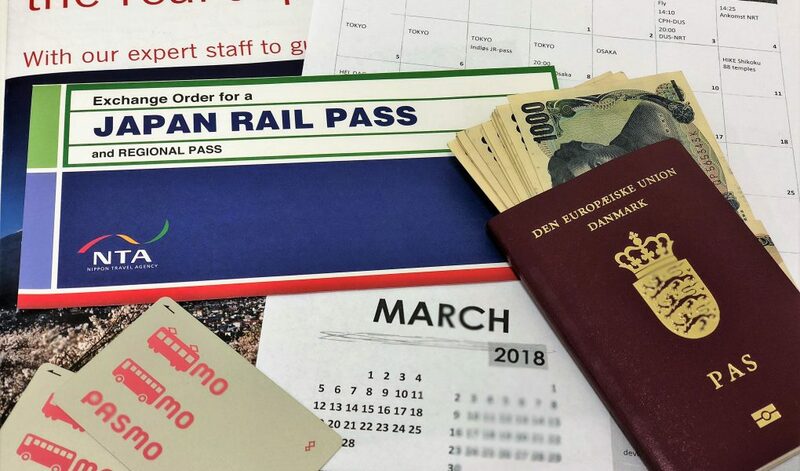 You have to order the pass from outside Japan, hence before you leave for Japan. 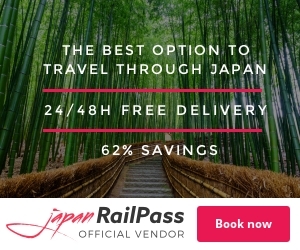 It gives you unlimited train travel in all of Japan for 7, 14 or 21 days at very reasonable prices. I have a separate post covering this in details. Tokyo Government Building Observation deck. Cost: FREE If you are traveling japan on a budget, or in general appreciate your time too much to wait in long lines for hours, then forget about Tokyo Tower and Tokyo Sky Tree. Tokyo Government building has a free observatory at a height of 202 meters. It can be a bit tricky to find, but the views are definitely good! If you want the full Tokyo experience anyway, the prices as of 2018 for the two commercial towers range between $9-$28 for Tokyo Tower and $20-$30 for Tokyo Skytree. Cost: FREE Tsukiji market is a super authentic Tokyo experience. Tsukiji Fish Market is the biggest fish and seafood market in the world! The market consists of an inner and an outer area as well as the famous Tuna auctions. As a tourist you can get tickets to attend the Tuna auctions as a spectator, however they only let in a small group every day at 5AM. The tickets are given out the same morning, so you practically have to be there at 3AM to ensure your ticket. I haven’t attended the auctions myself, but I’ve heard from many that it’s not worth wasting a nights sleep for. Instead you should go see the inner market. As a tourist you are allowed to enter the Tsukiji inner market from 9AM (they close at 10AM). The activity is much less at 9AM than it is a 6AM or 7AM, but never the less it is a really unique experience which won’t cost you a cent. You can combine it with some breakfast sashimi or sushi at the outer market. To get the full experience, you might have to hurry. There are plans to move this old market to make room for the 2020 Olympics. 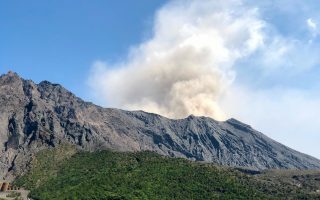 The market may be moved as early as Autumn 2018. Cost: FREE Visit Tokyos many temples and Shrines. It is always free, and can be some of the most beautiful experiences you can have in Tokyo. Read more in my post about Temples and Shrines in Tokyo. Want more free activities? Then see my post on free activities in Tokyo. I recommend that you check out my post about eating cheap in Japan. Here is however a table breaking down the $37 we used in the sample budget at the beginning of the post. It even leaves a little wiggle room. In conclusion I can only say, that I strongly believe that it is possible to visit japan on a budget! Go for it. 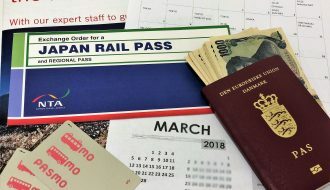 You might also find these posts helpful: Top Travel Guides for Japan 2018 and Japan Rail Pass.